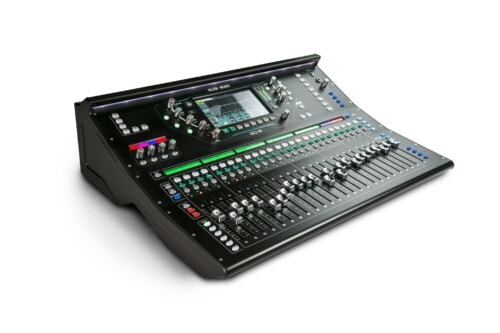 dB Live Sound are really excited to be adding the Allen & Heath SQ6 digital mixing console to our hire list. This marks our move to include the impressive dLive system ready for festival season next year. The SQ6 will perform monitor mix duties on larger events along with the dLive system for FoH. The SQ will also become our primary desk for smaller PA systems giving us more control and mix options from a small format desk while in a much more compact size compared to our Soundcraft Vi1. SQ-6 is a next generation digital mixer, powered by Allen & Heath’s revolutionary XCVI 96kHz FPGA engine. Created to excel in demanding scenarios such as AV, corporate events, live productions and houses of worship. The SQ-6 offers class-leading high-resolution audio fidelity and an ultra-low latency of <0.7ms. The console features 24 exceptional onboard mic preamps, plus 8 stereo FX engines with dedicated return channels and access to the renowned RackExtra FX library. SQ is a natural choice for in-ear monitor setups, providing 12 stereo mixes (configurable as groups or auxes), whilst Automatic Mic Mixing* makes it an excellent choice for conferences, panel talks and more.